Good things come in small packages. Like candy! 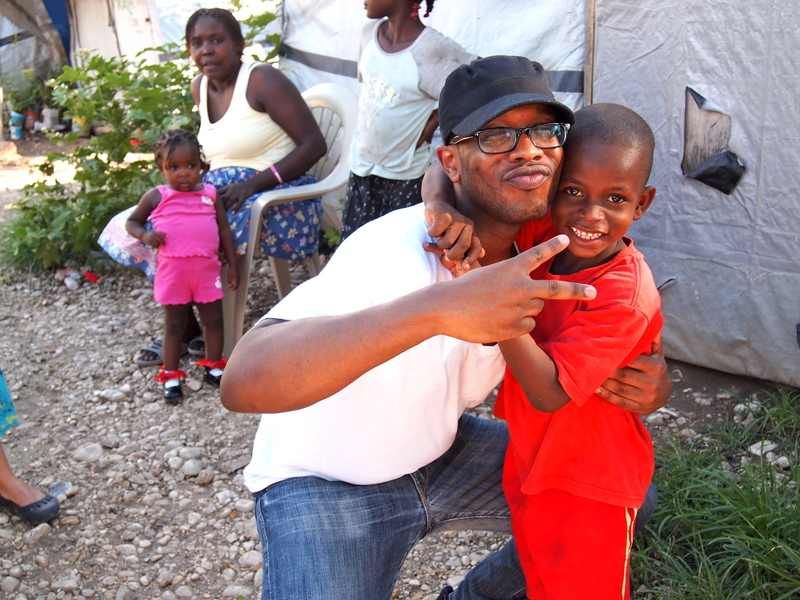 We are safe and sound in Haiti! The team met at Bridgeway’s parking lot at 3:30 am to catch our early morning flight. Everyone was sleepy, but buzzed with the excitement of having this opportunity to travel to Port-au-Prince! The flights themselves were (thankfully) uneventful, all the bags were checked in without overweight fees, and we were stress free…but when we landed at the Port-au-Prince airport, it was game on. Between the haggling with workers and the bribing of airport officials to let us pass with all the medical supplies, we had our hands full. But thank God, everyone on the team was vigilant, aggressive and bold, and we left the airport with Grace International’s security, our translator Johnson, all of our donations, and were on our way! The drive was not too bad (in comparison to previous trips), but I saw the looks on my teammates faces, and saw how much the destruction and destitution of Haiti affected them as we drove by. It was only when we drove through the gates of Grace International, when the feelings of tension and concern were lifted away. There is something about GI’s campus that you just feel at peace, and it was sensed by all. One we safely parked onto the campus, we were greeted by Michael’s friendly face. He warmly welcomed us to Grace Village and we brought all the donations up to the Hospital. Once we unloaded all the bags and ate a delicious meal, we headed on out for a tour of the Village. I noticed that many tents had also moved away and a new school was being built. Progress was fantastic, and the team members were able to make some new friends as well. We ended the night worshipping, praying, and studying Matthew 5:16 “Let your light shine before men, that they might see your good deeds. And praise Your Father in Heaven.” Ronald summed it up beautifully by bringing the verse back to the fact that we have been called to be salt and light unto the world…to preserve a dying world with the blessings that God has given us. God is so good. We are all settled in now, and a huge storm just passed over. Despite the slightly flooded bedrooms/bathrooms, we are safe and sound, and about to get some sweet deep sleep. Thank you all for your prayers, support, and donations! And a special thanks to John Yum for the hundreds of Crocs that we will be handing out to the Boys and Girls Homes tomorrow! Stay posted, and please keep us in your prayers! Can’t wait to hear more tomrrow! Praising our Lord for His provision! May you all continue to be salt and light! God is so good and faithful. Prayers and love being sent from MD! I love you guys!